As the world's premiere storm chasing tour company, we strive to ensure the enjoyment, comfort, and safety of our guests. But don't just take our word for it, watch the video below to hear what some of our recent guests had to say about our storm chasing tours. You can find a great deal of photos and videos from previous tours by visiting our Facebook page. Our goal is to share our knowledge and appreciation for severe weather and to seek out and witness spectacular, explosive supercell thunderstorms, stunning, vivid lightning, large hail, massive wall clouds, and violent tornadoes. Our goal as an amateur HAM radio operator/Skywarn storm spotter is to provide timely information to the National Weather Service to help prevent loss of life, injury, and property due to severe storms. 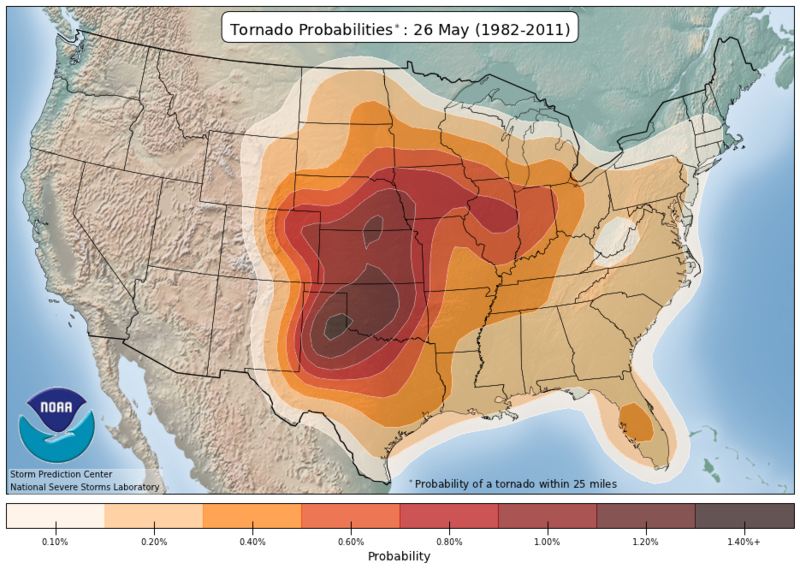 How much do I need to know about severe weather? No previous storm chasing experience or weather forecasting knowledge is needed! You can be involved as much or as little as you want. 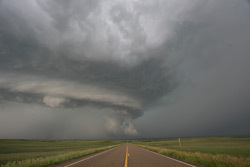 What will we see on the storm chasing tour? 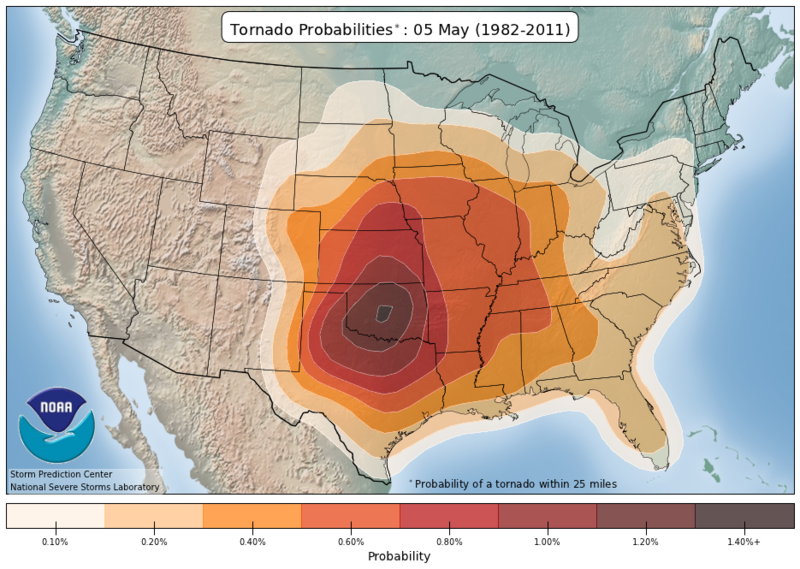 We may have the chance to see supercell-type thunderstorms capable of producing severe weather, including tornadoes. When storms form and severe weather occurs, it can offer an abundance of fast paced excitement, not to mention the most breathtaking scenery on the planet. On some tours, our guests witness spectacular, explosive supercell thunderstorms and nighttime lightning shows. There are some tours where this may not happen at all though or you may only experience weak thunderstorm activity. It depends on the weather pattern that's in place during your tour. Will I see a tornado? Please don't make this your only reason to come on the tour. 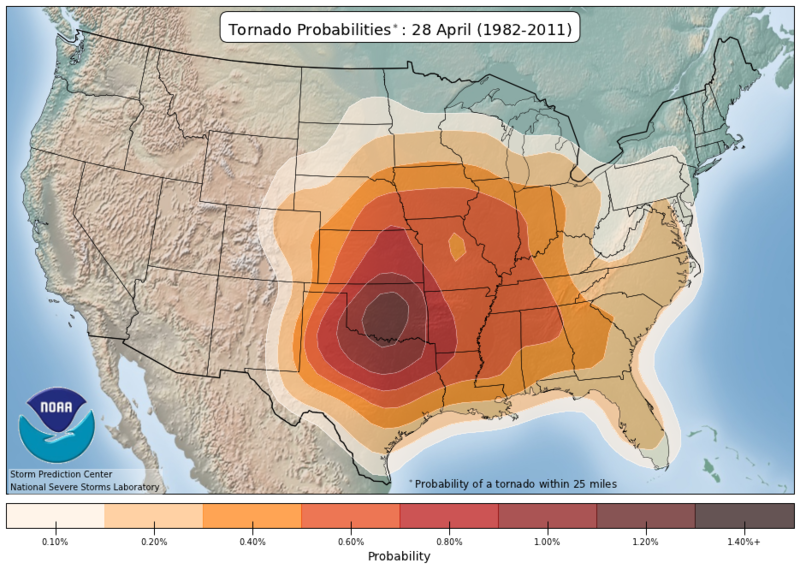 Tornadoes just don't happen every day, like in the movies. We love to see them and have the best tornado forecasters on our team, but there is no way to know if you will witness a tornado on your tour. Sometimes they will happen after dark. 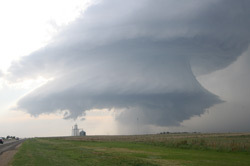 We cannot guarantee tornadoes, but you will witness supercell thunderstorms on most tours. There are a few tours where you may only experience weak thunderstorms. Our tours are at the very peak time of year for severe weather, which is why we start in late April and go through late June. We want you to have the best odds to see the best storms when you tour with us. We hope you will pick us this season and seasons to come. 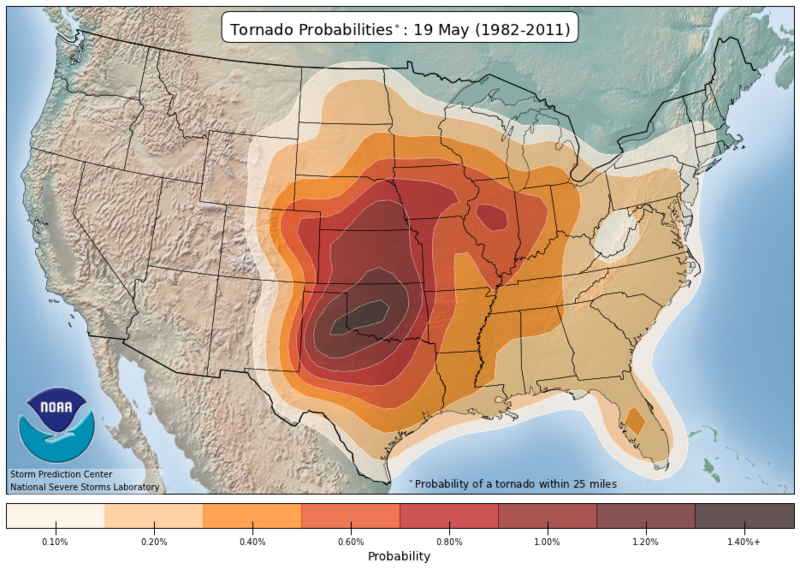 Which tour offers the greatest chance of seeing tornadoes and supercell thunderstorms? Tour dates are selected to coincide with the highest frequency of tornadoes in Tornado Alley. 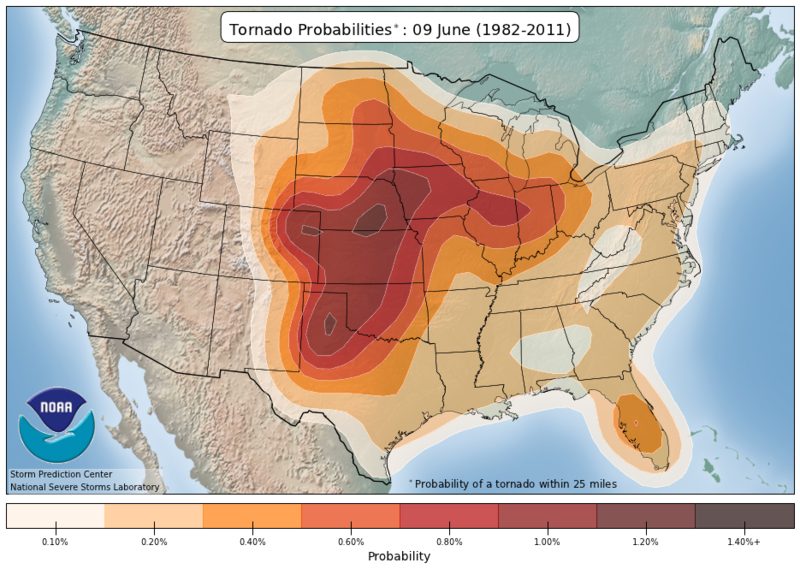 Below are mapped climatological breakdowns of tornado probabilities and placement from the SPC and NSSL on a per tour (2019) basis. Click on the images below for larger views. How close do we get to a tornado? Safety is our number one priority during any tour. With that said, we position a few miles to less than a mile from a tornado. This all depends on the individual storm, road options, and other factors. Our real-time weather radar and years of experience allow us to get you closer to tornadoes without compromising your safety. Is there a great deal of driving involved? Yes, storm chasing requires many hours on the road. We can travel 200 to 500 miles a day to reach our target area. From there, we watch storms explode and chase them into the late evening hours. What is our storm chasing tour transportation? During the tour we utilize comfortable vans, with no more than six people in each vehicle. What about food costs on tour? Tornado Alley has some of the best home cooking. You are responsible for your own food, beverages, and other expenses. The average cost per day is about $15-$30. Will we have opportunities to eat while traveling? We will always make time for breakfast. However, due to travel requirements, many meals may be eaten “on the run.” We will always attempt to break for one good restaurant meal each day, which usually takes place at lunchtime. It is important to understand that actual storm chasing usually begins in the late afternoon and continues until near dark. In many places of the rural Midwest, restaurants may close before we finish our chase. Therefore, eating late at night can be difficult and we recommend you keep some extra food and beverages with you for your own late-night snacks. 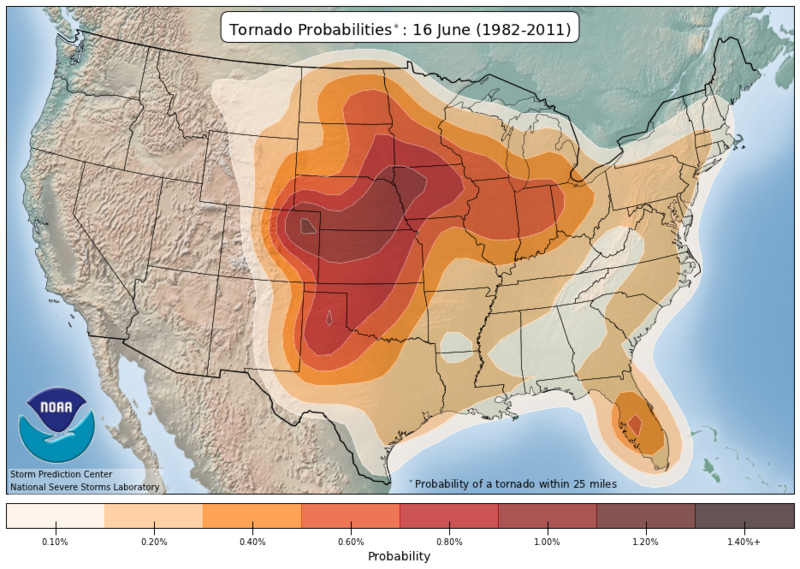 How do you know where the biggest storms will occur? Each morning, we analyze forecast models and other weather data. With all that information, we forecast the best severe weather target area for the day. We refine the target as the day goes on with new severe weather information we obtain from our mobile broadband Internet system. What will we do when there isn't severe weather occurring? We have a variety of things to do during non-severe weather days, such as going to amusement parks, Carlsbad Caverns National Park in New Mexico, the Severe Storms Laboratory, local National Weather Service offices, Tornado Museum, Big Texan in Amarillo, Chimney Rock National Monument in Nebraska, Mount Rushmore in South Dakota, the Badlands in South Dakota, Devil’s Tower in Wyoming, national parks, and state and local recreational areas. We might even have a barbeque by a lake or at a park! There are miles of open prairie landscapes to explore. Many times, non-severe weather days will be spent traveling to the next hot spot for the next day’s chase. Will I have a window seat on my tour? Yes, on our tours everyone has a window seat, with a total of six guests or less in the storm chasing SUVs/vans. What time should I arrive at the base city? Guests should try to arrive at the base city by 3 p.m. local time on the arrival day of your tour (before the first chase day) to avoid flight delays due to afternoon storms. You'll check in and pay for your hotel room under the reservation that you make yourself. Bring your bags packed and ready to go to our orientation meeting at 9:30am the morning of the first day of your tour and we will leave to chase immediately following that. What day and time can I depart from the base city? You can depart any time on the day following your last chase day. Do not schedule your departure on the last chase day. Click here to see when the last chase day is. What type of lodging will we use? We stay at clean hotels. Please be aware that most hotels we stay at don't have elevators, so make sure you are able to carry your bag and belongings up flights of stairs. Note: All hotel rooms reserved for our tour guests are non-smoking, yet from time to time you may get a room that may smells like cigarette smoke. There is no way for us to know that this is the case with any particular hotel room when we pass out the hotel keys in the evenings. If you receive a room that smells like smoke, it's up to you to go to the hotel's front desk and request another room that doesn't. There's a chance that the hotel may not have any other rooms available to give you in this situation, leaving you with your original room. If this bothers you, then you'll want to avoid booking a tour with us as we can't prevent this from happening. The vast majority of the non-smoking rooms we reserve do not smell like smoke, but it can happen to you. Who makes tour lodging reservations? At the end of each chase day, we make hotel reservations for everyone. The logistics of storm chasing often require a late evening arrival at the hotel. You can expect to arrive by 9:00pm. on most nights. We always try to find hotels that are in the path of the severe storms so we can see some good nighttime lightning. You will be notified of the name and location of the base city hotel during the reservations process on this website so you can independently book and pay for your arrival and departure nights of lodging before the tour begins. Can I join a tour if I have a medical condition? Although we would like to accommodate everyone, it's simply not possible. We are not equipped to handle guests in wheelchairs or anyone who has special needs. During the tour, you will be responsible for quickly entering or exiting a high-step vehicle several times a day. If you require consistent medical attention or are unsure about whether you can physically handle a trip such as this, we recommend you do not join us. In case we need to take cover from a tornado, everyone will need to be personally responsible for moving quickly to shelter. Guests should pack lightly in one soft duffle-type bag. You may want to bring a small carry-on bag or daypack for inside the vehicle, as well as a camcorder or still camera. Please pack about five days worth of clothing because we will be staying at hotels that occasionally have coin-operated washers and dryers. Pack for warm to hot and humid weather, as well as for brief cold weather periods (pack at least one pair of jeans and a long sleeve shirt). If you want to play your own music, please pack headphones with your portable music device. Are there age requirements for tour participants? Can children attend? Tours are open to everyone 14 years of age and older. A parent or guardian must accompany children 14 to 17 years old. Discounts are available for five or more people in a group. This is perfect for educational institutions and families. for discount pricing. Are there storm chasing gift certificates? Of course! 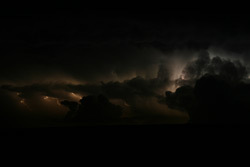 Storm chasing tours make great gifts for birthdays, graduations, holidays and more. Read the instructions and print your own gift certificate by clicking here. Where can I get Storm Chasing Adventure Tours gear? Visit the Storm Chasing Adventure Tours Store to get great t-shirts, hats, mugs, bumper stickers, and more!